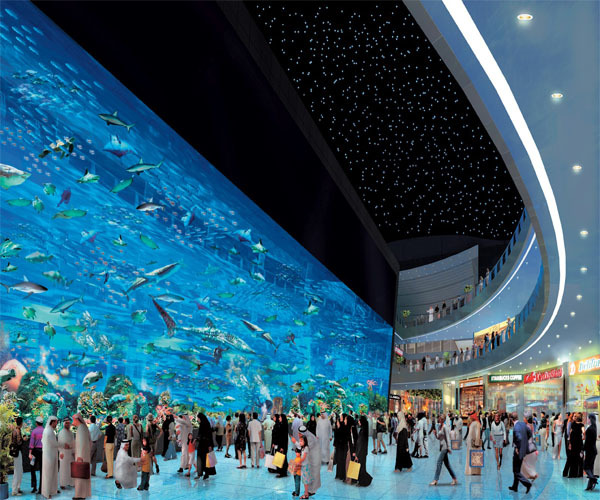 The 10-million litre Dubai Aquarium tank, located on the Ground Level of The Dubai Mall, is the largest suspended aquarium in the world. It houses over 33,000 aquatic animals, comprising over 140 species. Over 400 Sharks and Rays live in this tank, including the largest collection of Sand Tiger Sharks in the world. There are numerous ways for visitors to experience the main Aquarium tank, which measures 51 metres in length, 20 metres in depth and 11 metres in height.